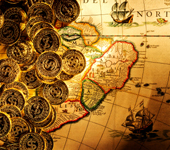 Get to know your city of choice with your own private treasure hunt. Solve a range of cryptic clues and discover secret locations while picking up some local culture and history. Paintballing by its very nature if one of the best team building activities as it incorporate many different training and initiative elements. 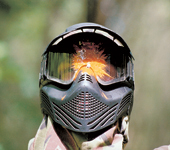 We have organised many different paintballing events across Europe in purpose built arenas from Budapest to Valencia. Your paintballing games can last from 1 hour of intense action to a full day event including many different games and training opportunities. 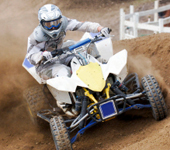 Quad bikes will push your riding skill and agility to the limits. Experienced professional instructors will help your group navigate through winding trails, steep drops, dry river beds and explore the great outdoors. On your quad trail you may discover idyllic spots that have rarely been explored - this really is an experience never to be forgotten. What better way to get the competitive juices flowing and build a little friendly rivalry than a little karting. 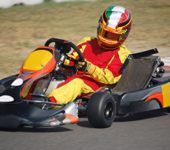 Race against your friends and colleagues in some of the best karting tracks on the continent. With champagne and bragging rights at stake it is time to put your foot to the floor and race to the chequered flag. 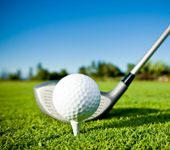 With a range of venues across Europe we are able to tailor a golf day to meet your objectives. Our aim is to make organising a corporate golf day stress free by providing you with a bespoke professional service that can include activities for non-golfers, private dining and overnight accommodation.